The Mystic Dutchess is great level of comfort for winter months or those that like to keep warm in the "English Summer". It is built using the M-Flex neoprene for super stretch and flexible giving a perfect fit for your adventures. Added in is critical stretch taping and soft polar thermal lining to reflect your heat back inside and keep everything warm. 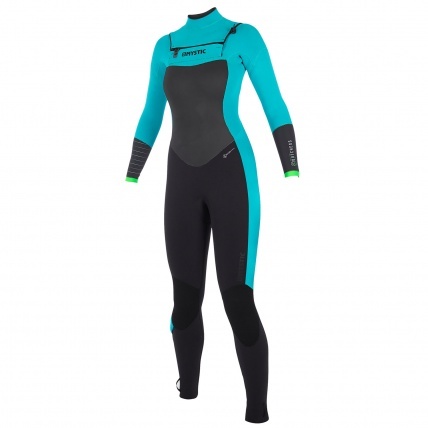 Coming with GBS stitching (Glued Blind Stitch) and the double overhead front zip entry it is easier to get into and keeps you with less flush when going head first into the waves! 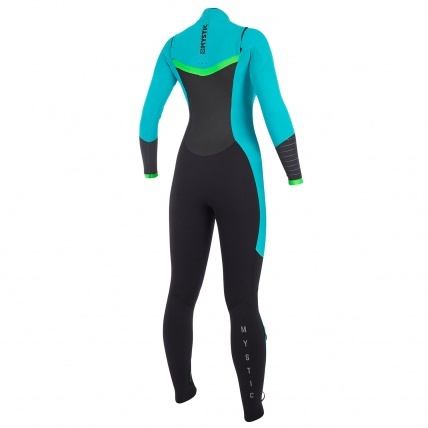 The Mystic Dutchess 5/4mm Wetsuit is built to keep you warm at a great price and has beautiful lines to accentuate the female body, wearing a wetsuit can also make you look great!